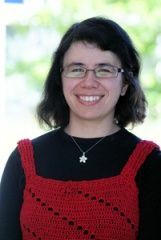 Simonetta Longhi is Associate Professor at the Department of Economics of the University of Reading. Before that she worked at the Institute for Social and Economic Research (ISER) of the University of Essex. She received her PhD from the Vrije Universiteit Amsterdam (The Netherlands) in 2005; since 2005 she is also Research Fellow of IZA, the German Institute for the Study of Labor. Her current research interests include the determinants and impacts of internal and international migration; wage disparities across individuals and across regions; job search behaviour and occupational change. Simonetta Longhi joined CReAM as an external fellow in December 2011.